A MAN who has never held a driver's licence crashed into a parked vehicle when he drove drunk to Kawana to visit family members. 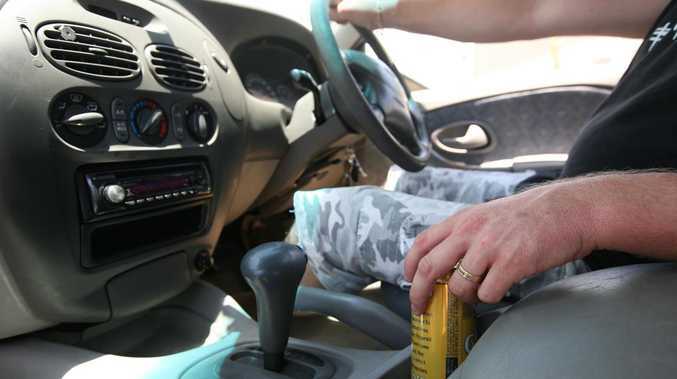 Joseph Patrick Hickson, 23, pleaded guilty in Rockhampton Magistrates Court yesterday to one count of unlicensed driving, one of drink driving, and one of driving without due care and attention. Police prosecutor Shayne Studdert said police were at the Country Caravan Park for a welfare check on another person when they noticed the damaged Mazda and made inquiries. He said the defendant admitted driving the vehicle to Kawana to visit family and losing control after hitting a kerb and crashing into a parked car on Price Ave. The court heard Hickson had never held a driver's licence. He was fined $1300 and disqualified from driving for eight months.